Nearly three-quarters of Britons think it is inappropriate for children under 12 to own a mobile phone, despite the fact that most kids already have them, according to a poll. Interestingly, more than one in 10 would buy a child a mobile phone as a treat to encourage good behavior, or for doing well at school. 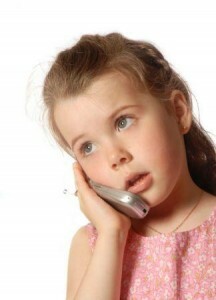 The vast majority of parents (90 percent) also liked the idea of a child having a phone in case of an emergency.